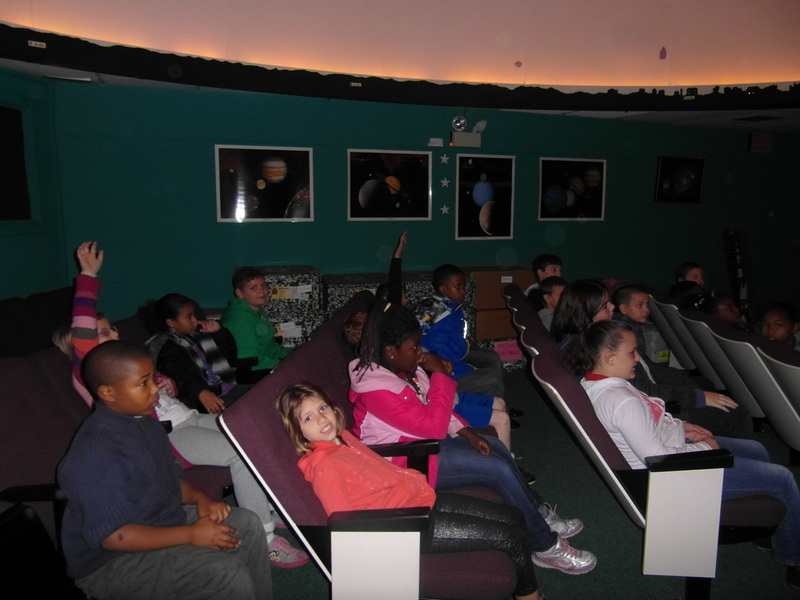 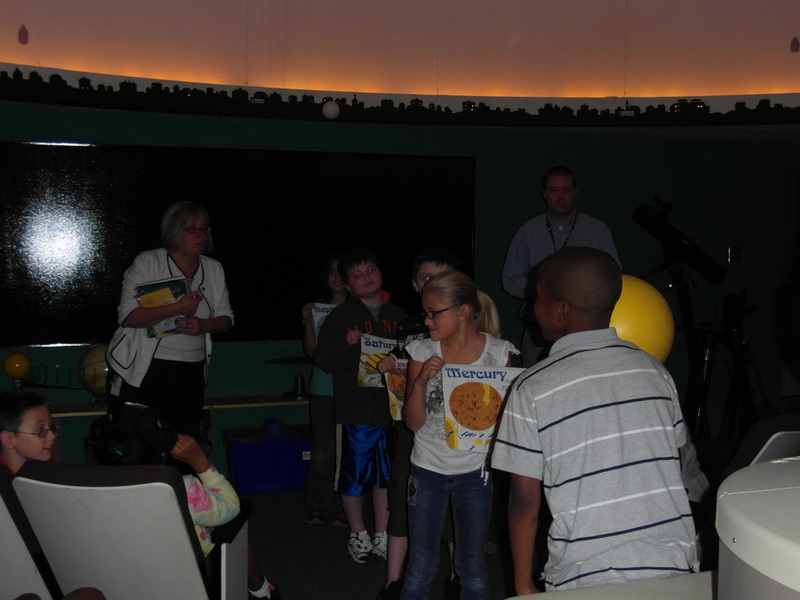 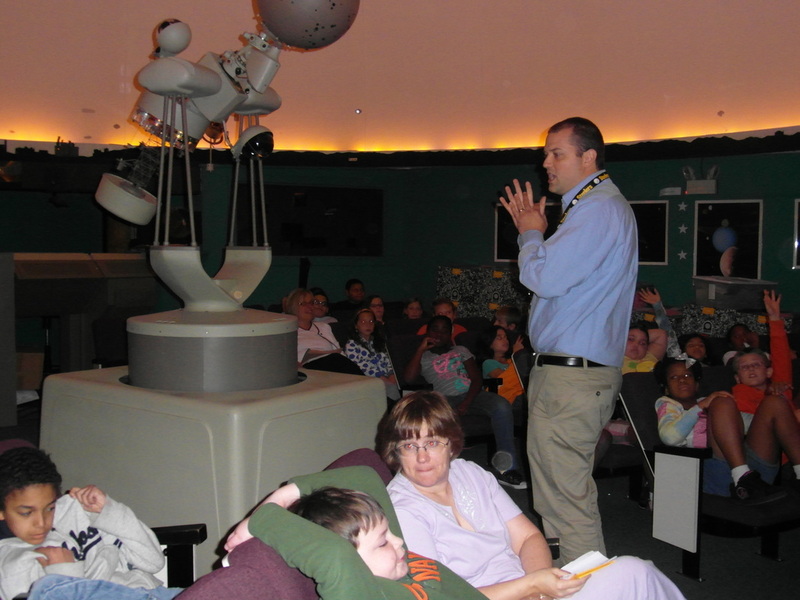 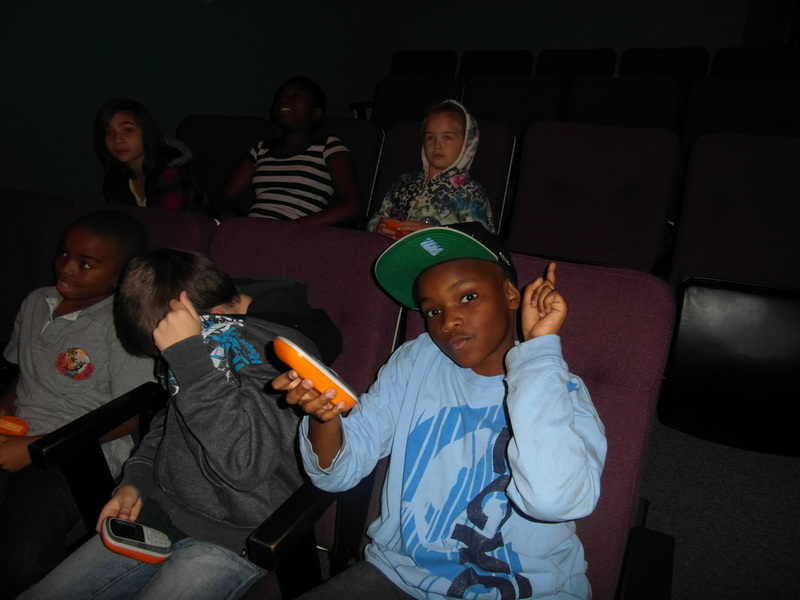 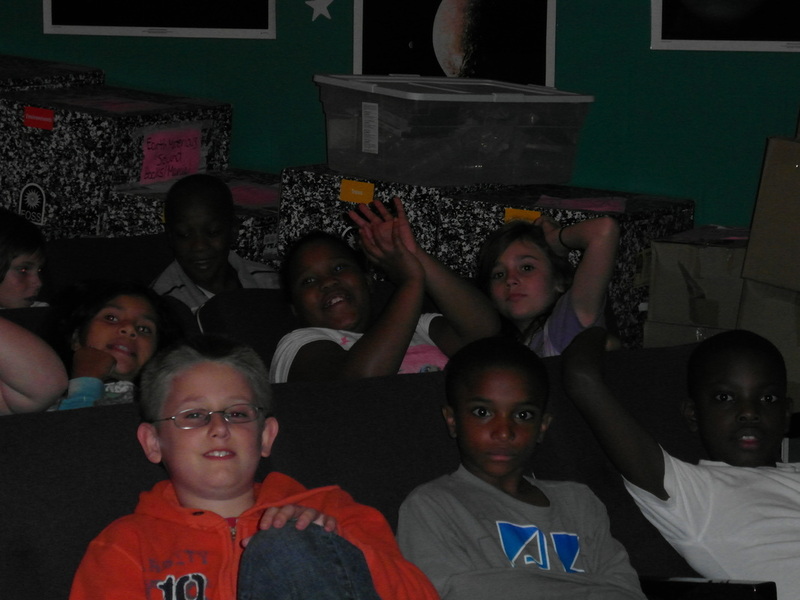 Ms. Rendel and Mr. Burton brought their 4th grade classes to the Planetarium today for Star Stories. 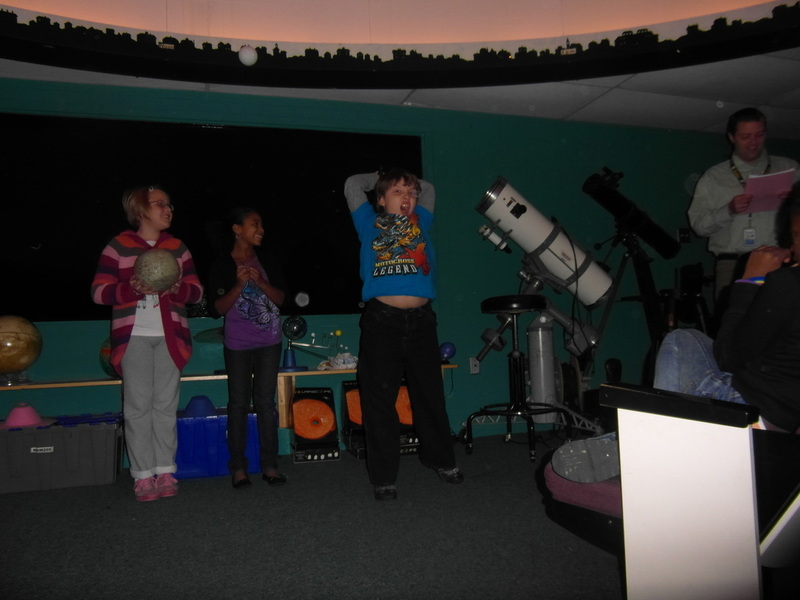 In this lesson they learned how to find different constellations in the sky as well as the stories behind the constellations. 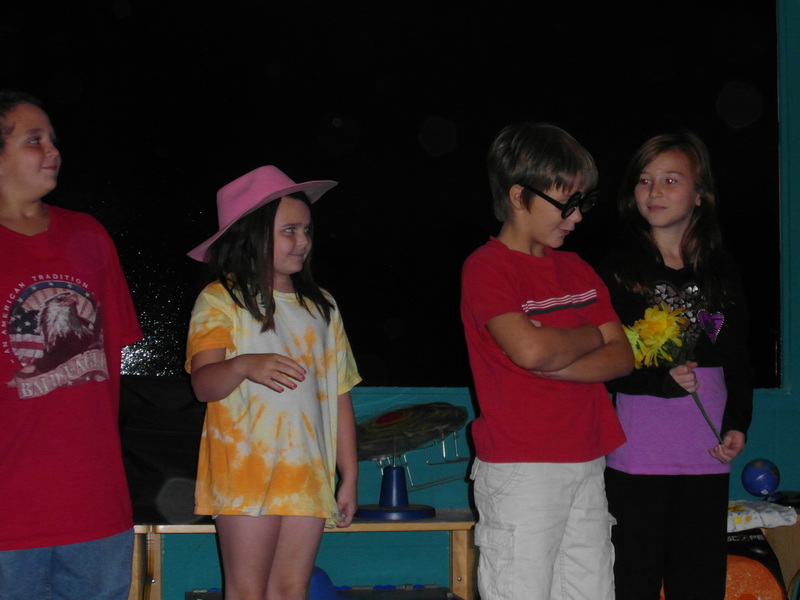 The students did a fantastic job of bringing these stories to life by playing the characters with enthusiasm! 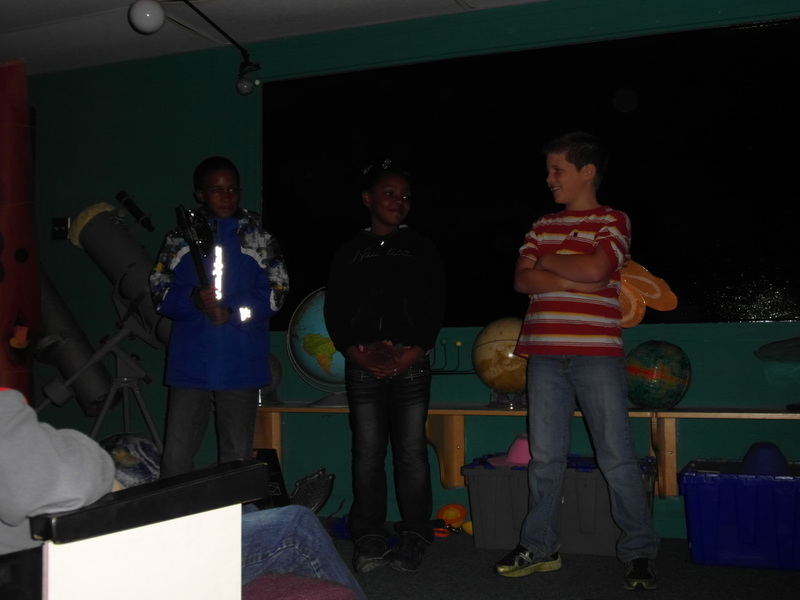 Here are a few pictures from their visit. 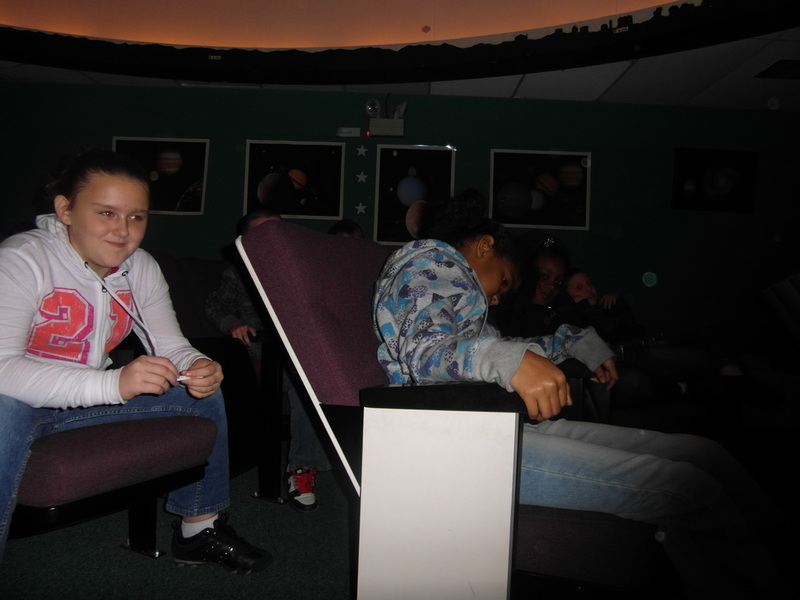 At the end of the visit each teacher chose an Astronomer of the Day. 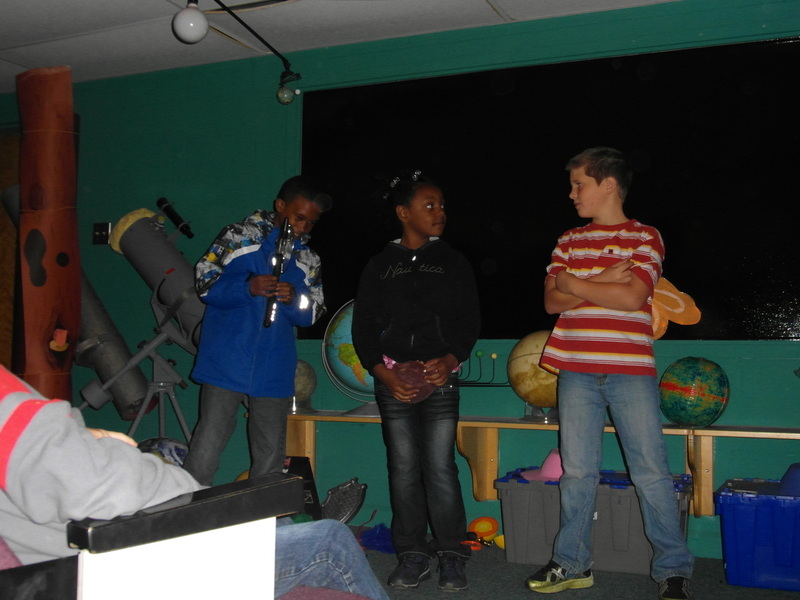 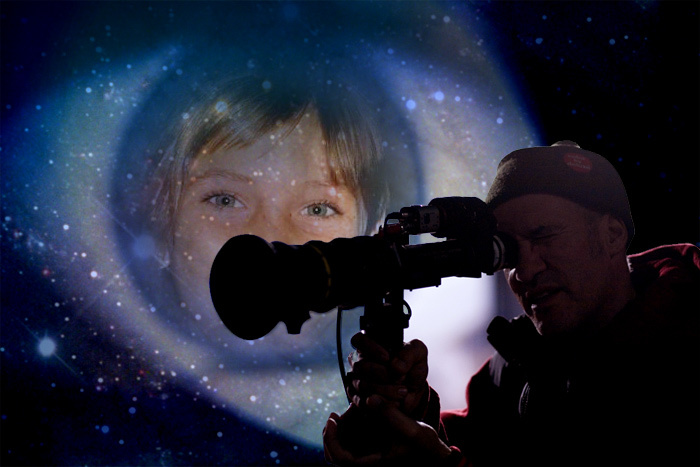 These astronomers had the great attention to detail and focus that is necessary for all astronomers to be successful! 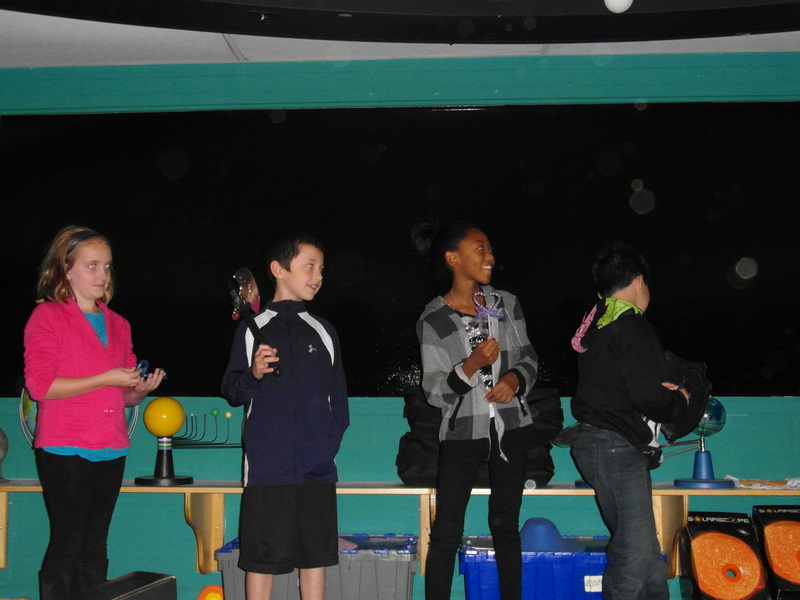 Congratulations to our Astronomers of the Day! 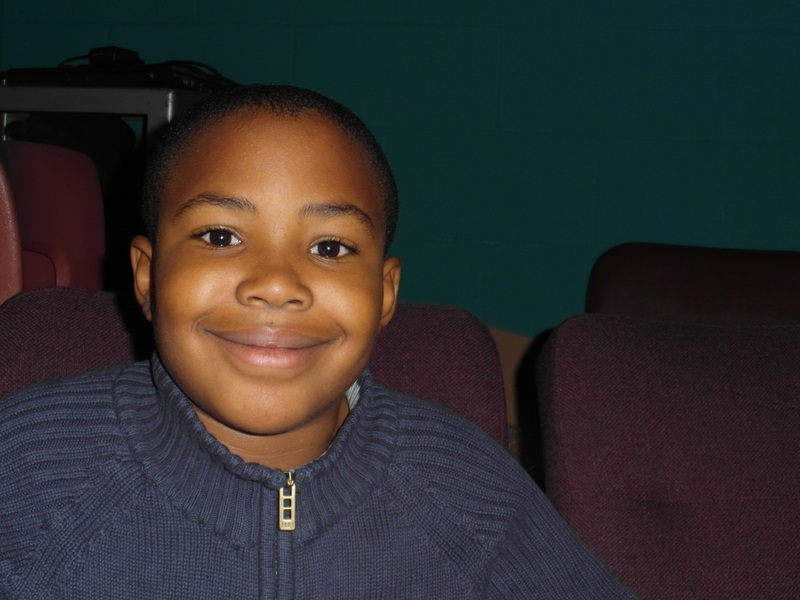 Congratulations Ephraim! 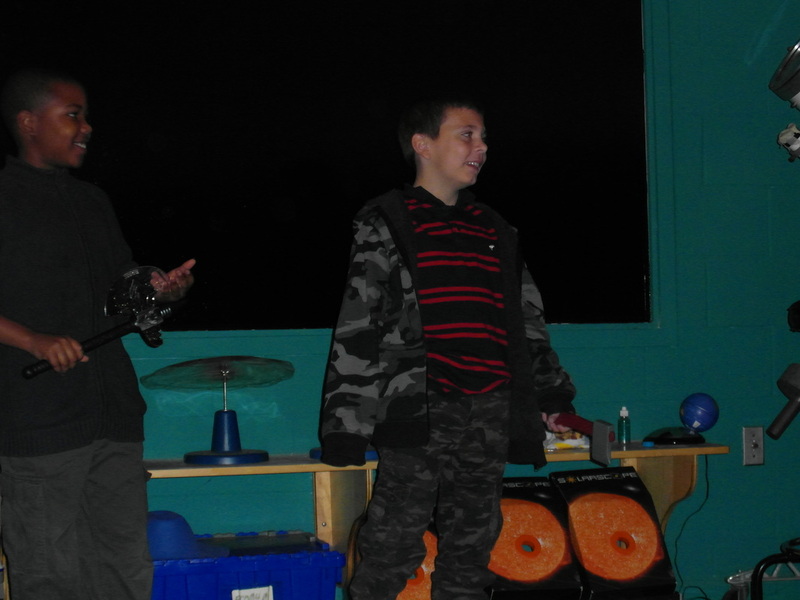 Click on the picture for a larger view! 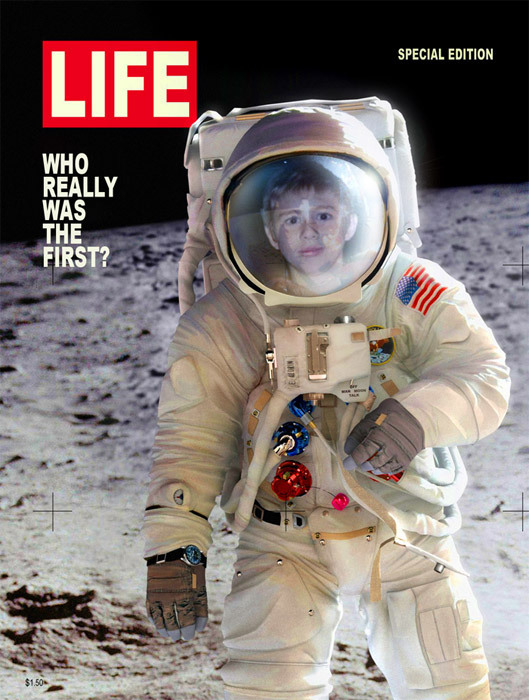 Congratulations Charlie! 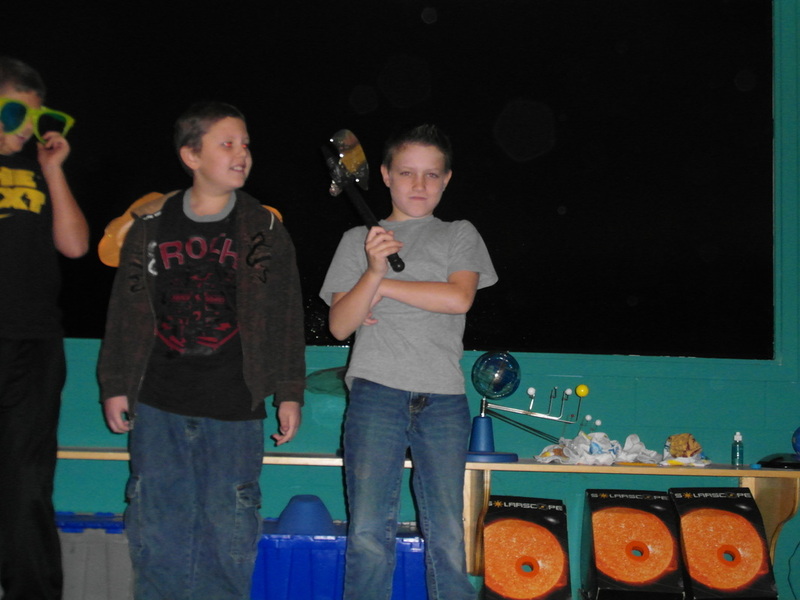 Click on the picture for a larger view! 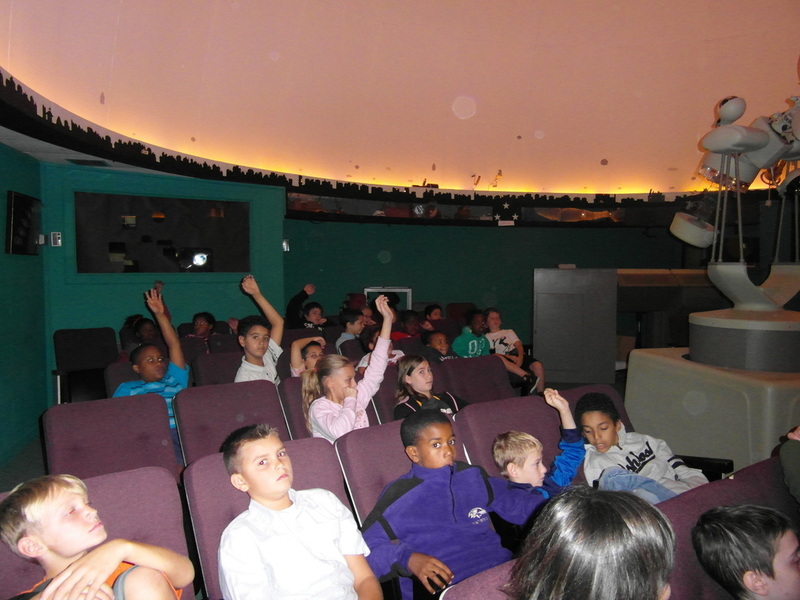 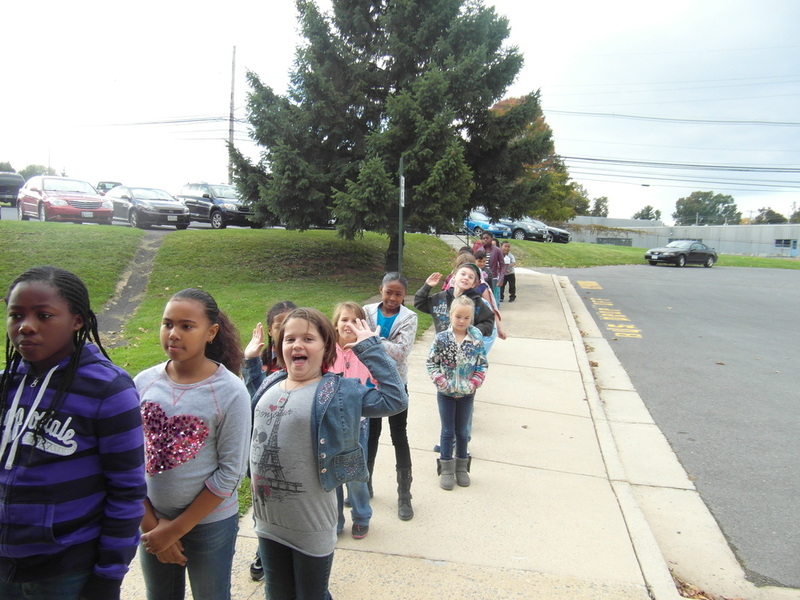 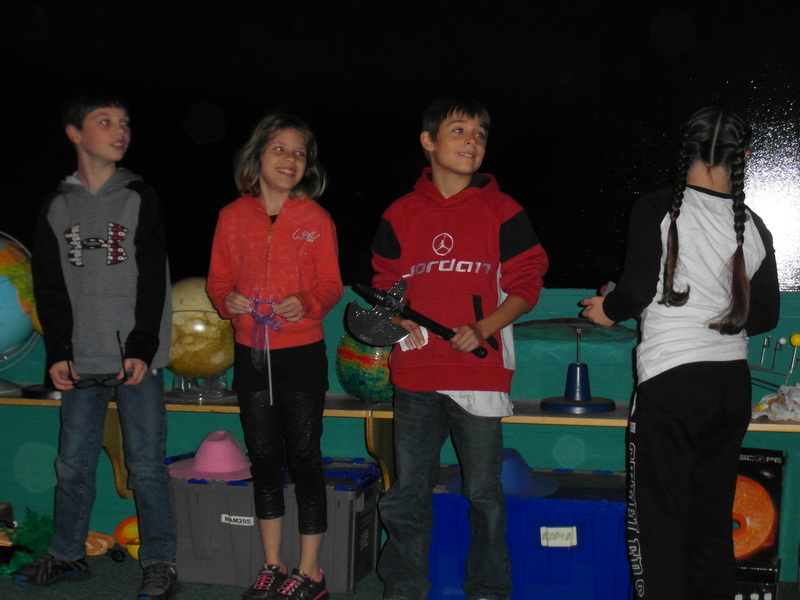 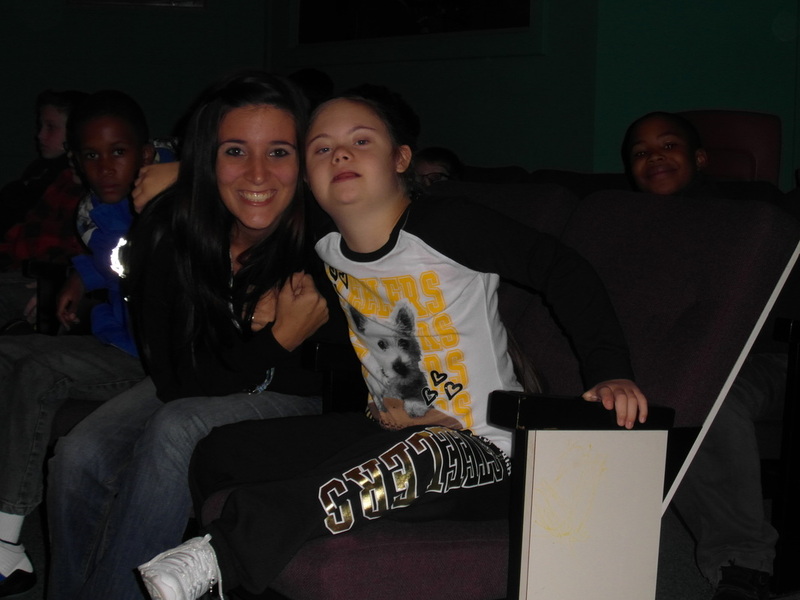 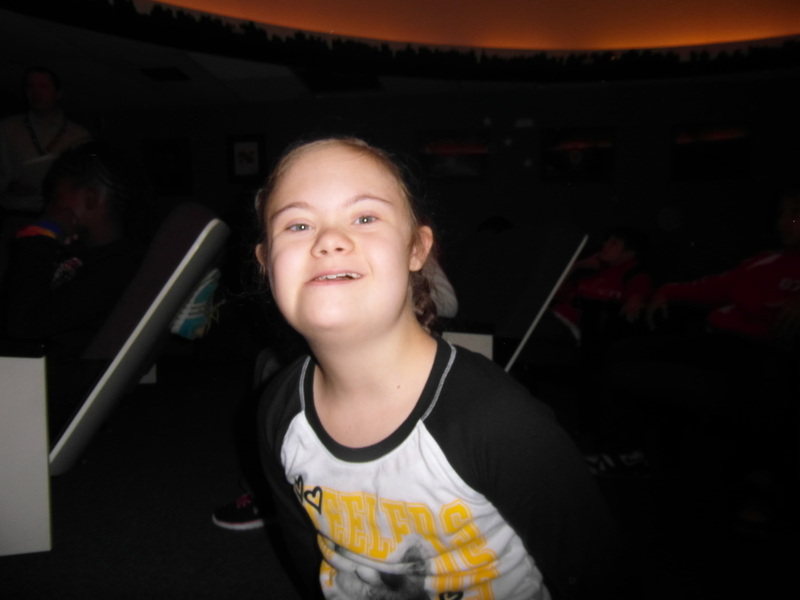 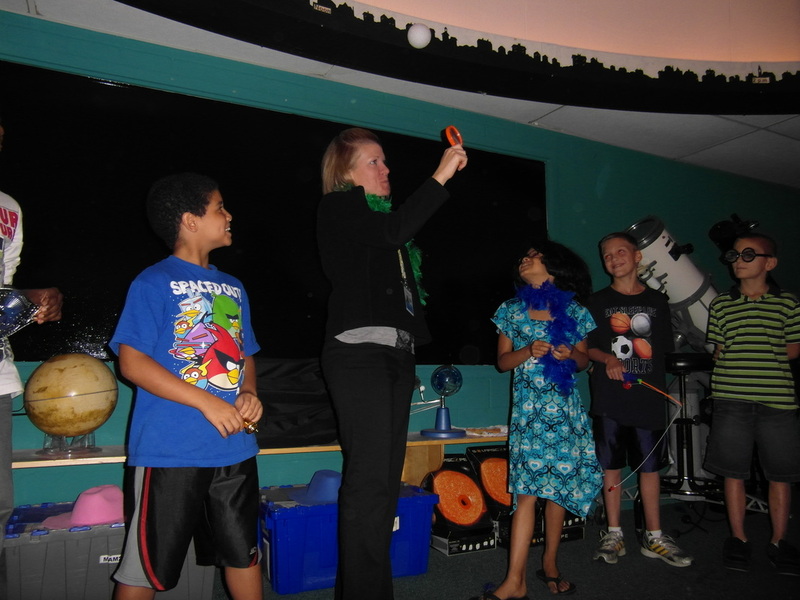 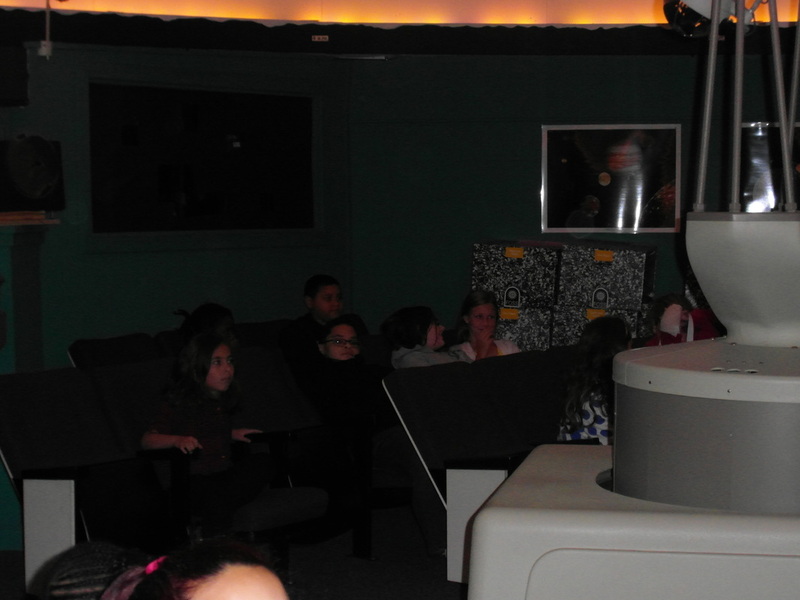 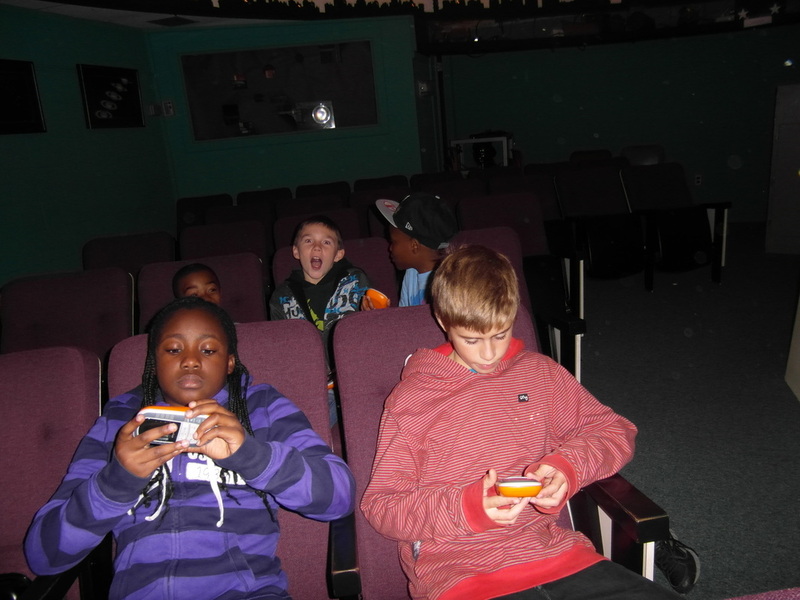 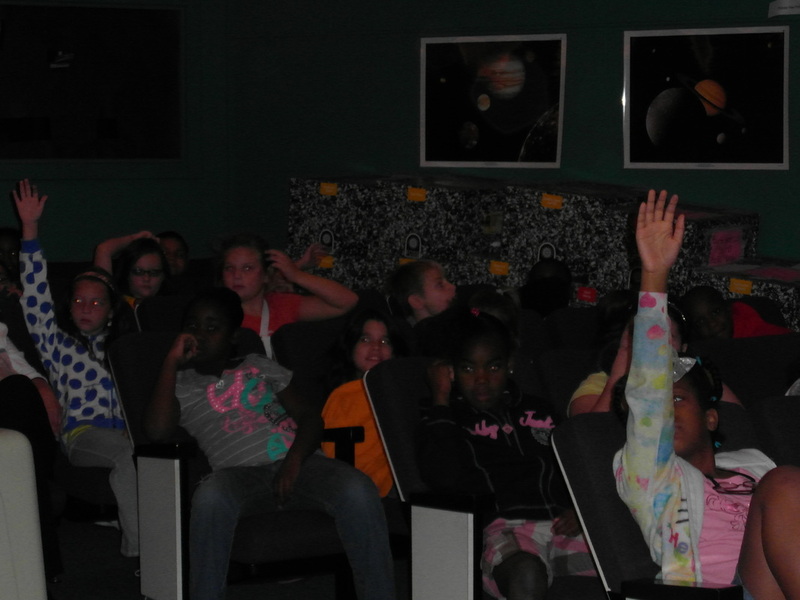 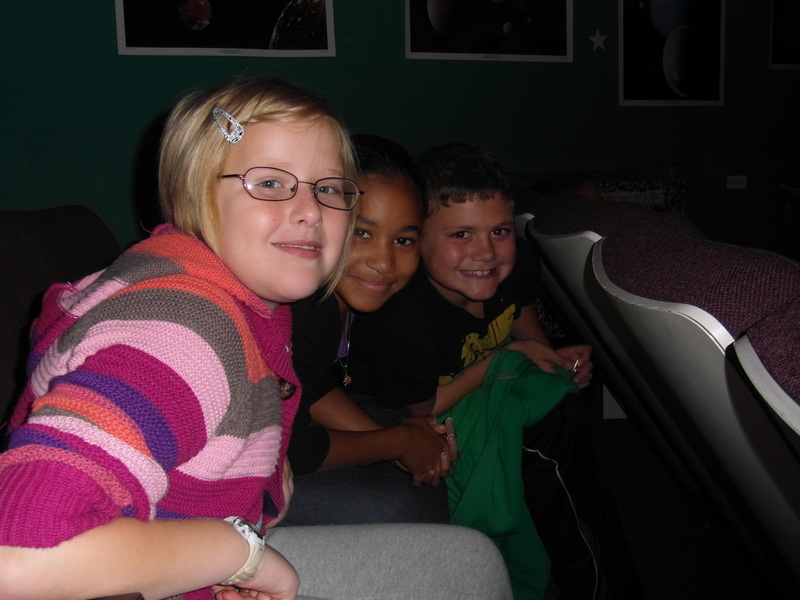 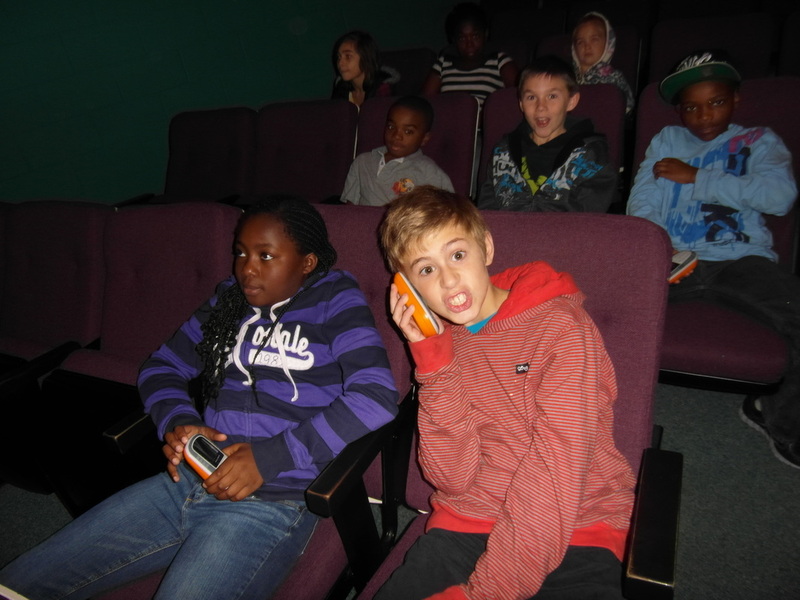 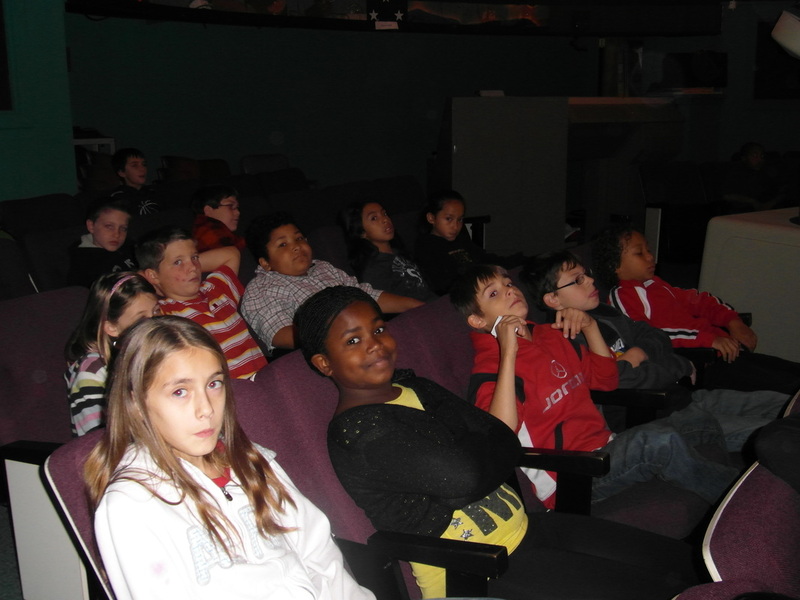 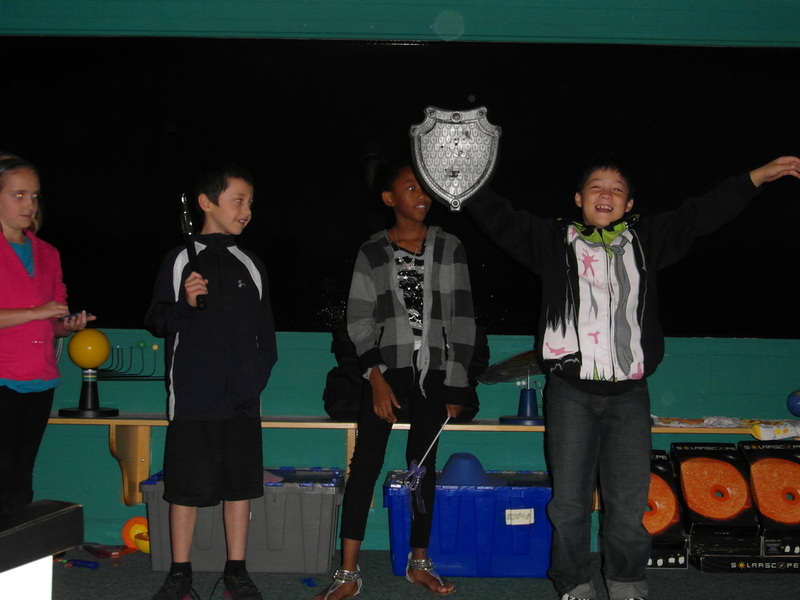 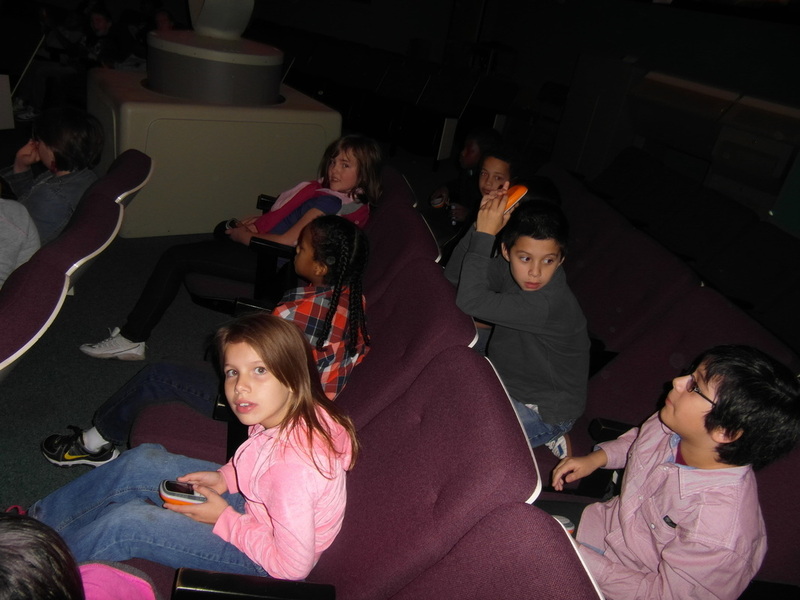 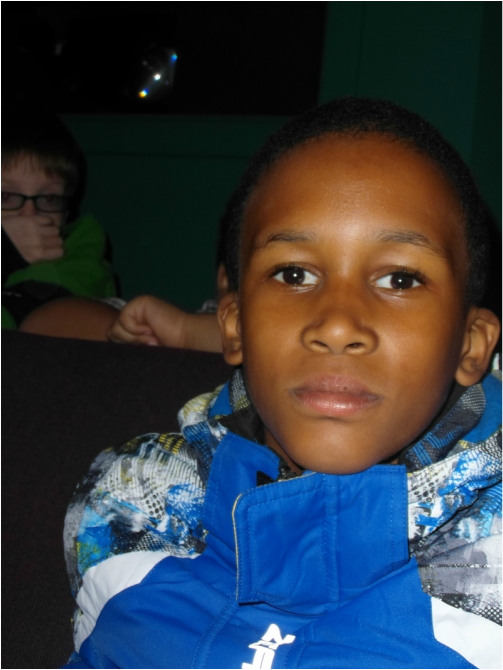 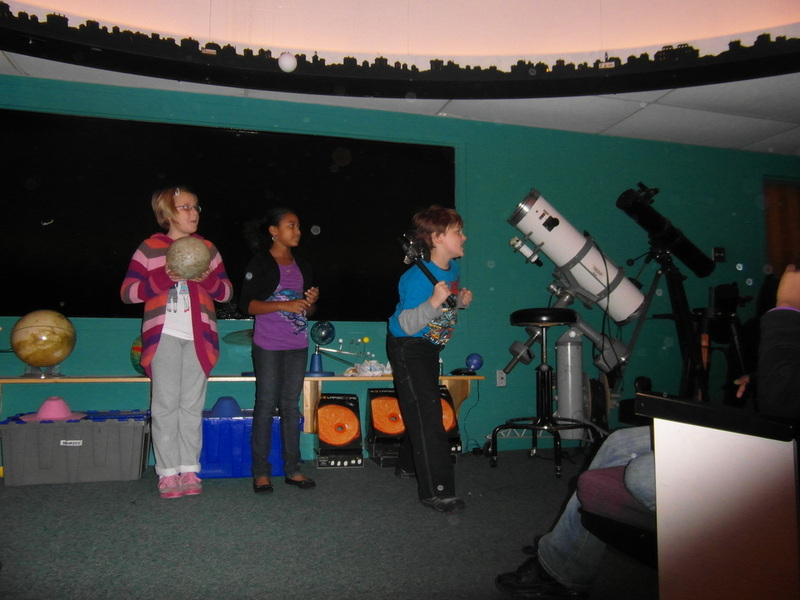 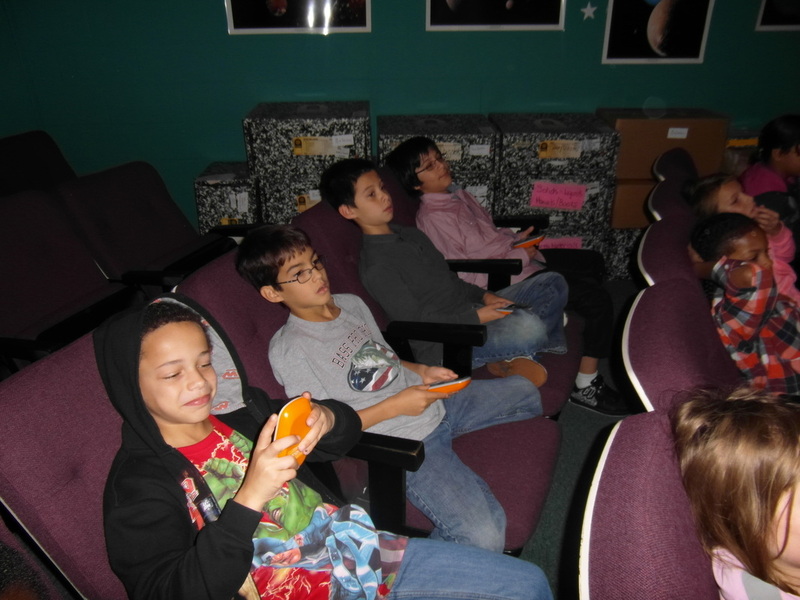 Ms. Day and Ms Wolk brought their classes to the Planetarium on Thursday. 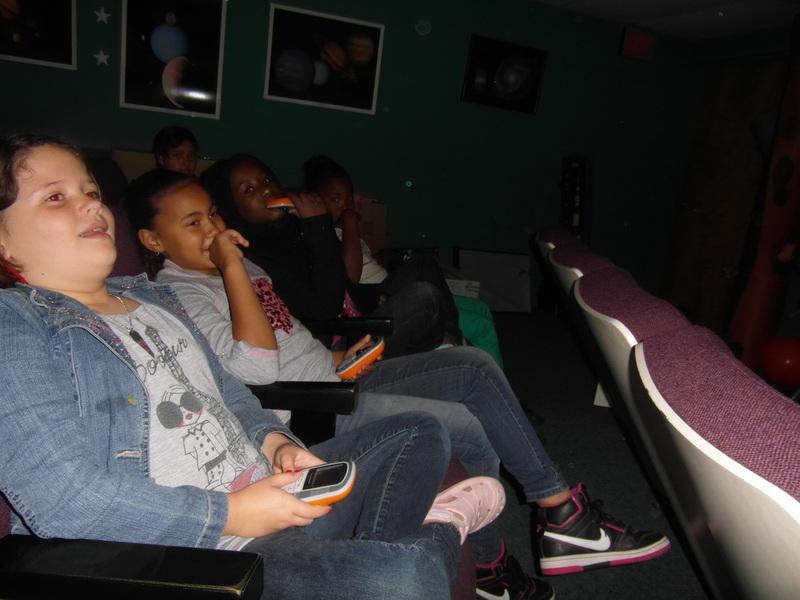 Their classes did the Solar System Adventure Tour, where they took a ride through the solar system on a rocket ship, learning all about the planets of our solar system. 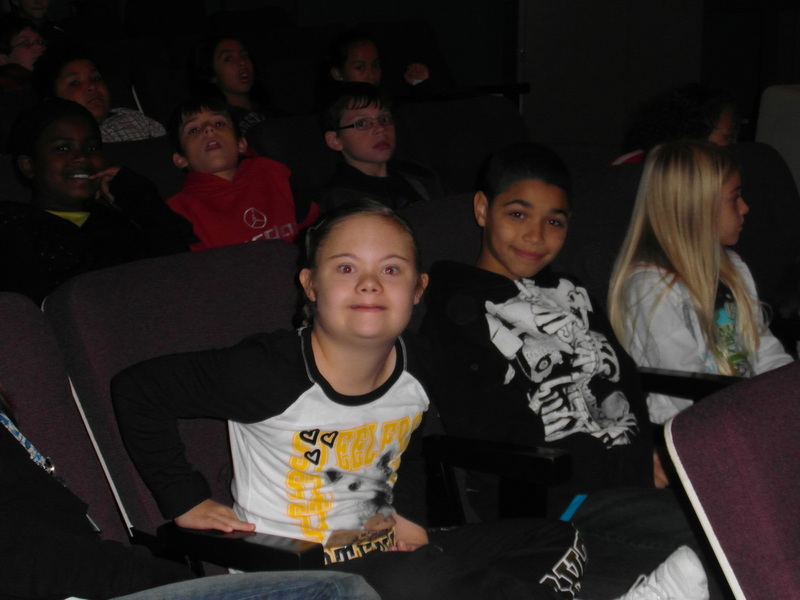 Here are some pictures from their visit! 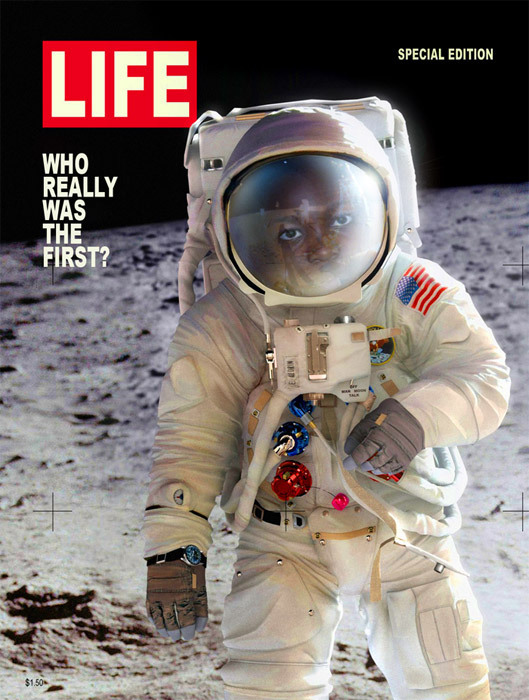 Congratulations Erykah! 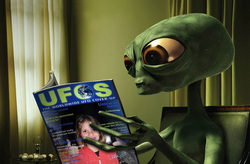 Click on the picture for a bigger version! Way to go Amir! 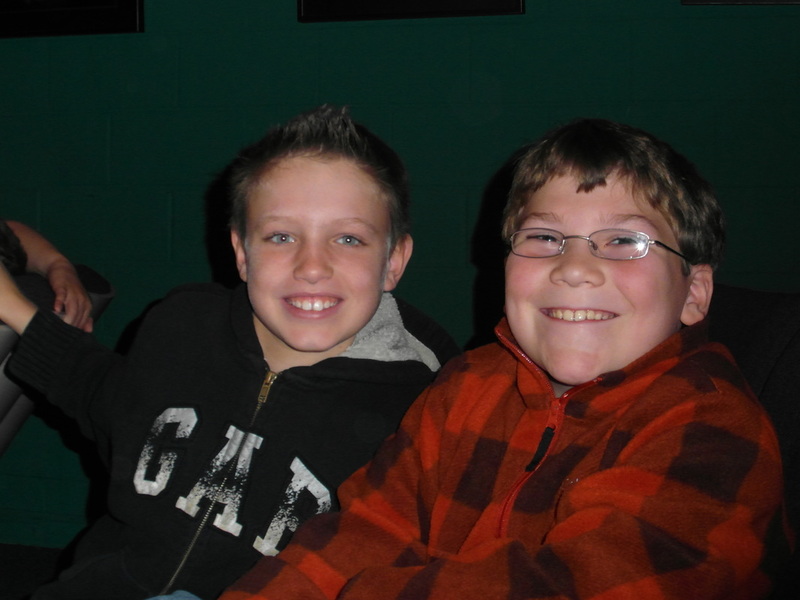 Click on the picture for a bigger version! 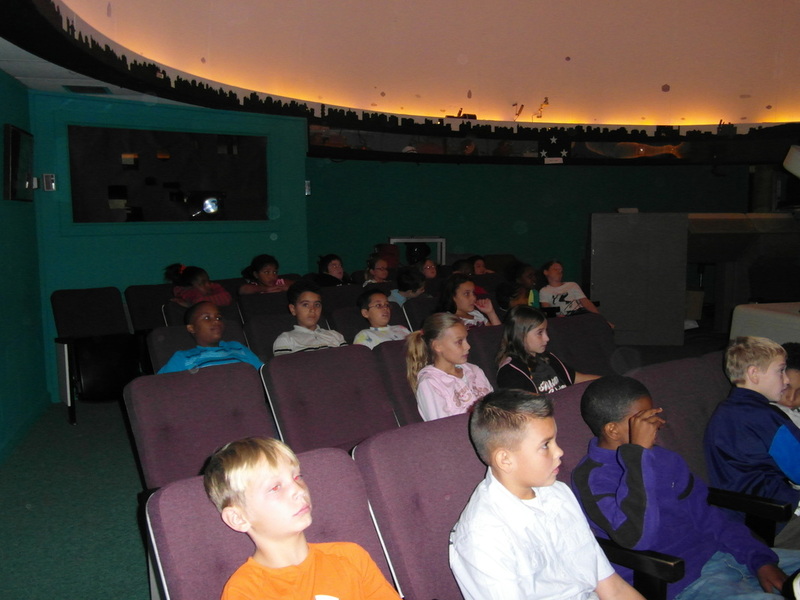 Ms. Peteranecz and Ms. Harne brought their fourth grade classes to the planetarium today to participate in the program Star Stories. 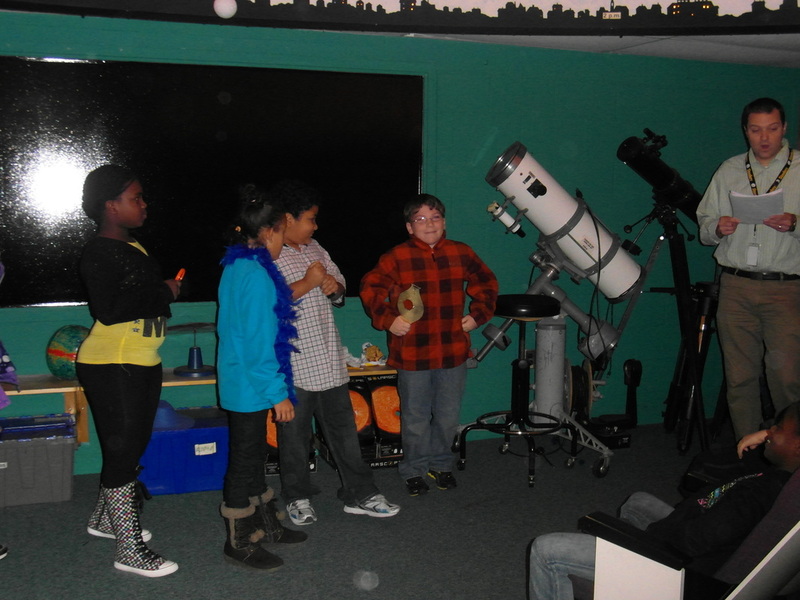 The students learned how to find some constellations in the sky and also learned the ancient Greek Myths behind the constellations they saw. 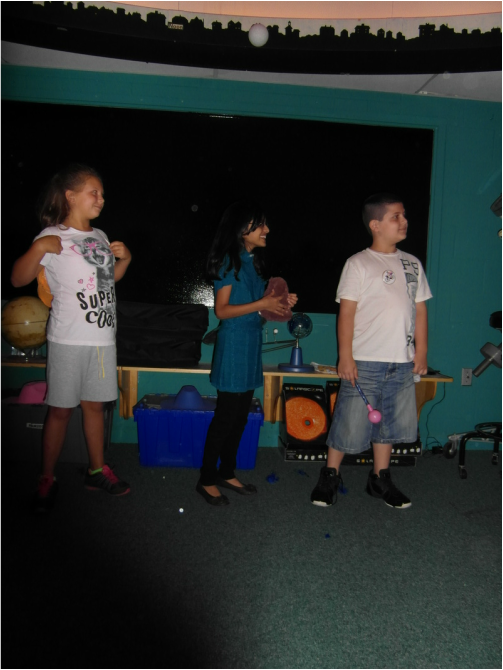 The students did a great job of acting these stories out and identifying things such as the Big Dipper, the Pointer Stars and the North Star in the sky. 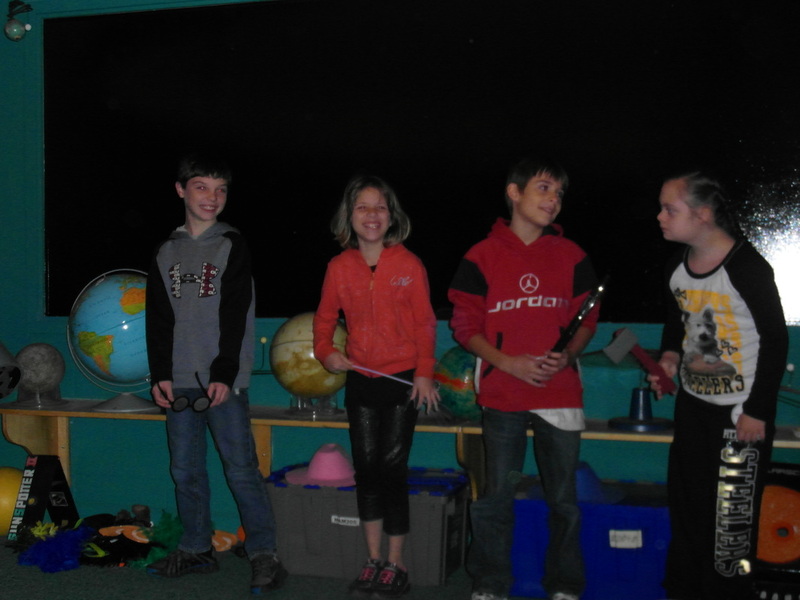 Here are a few photos from their visit! 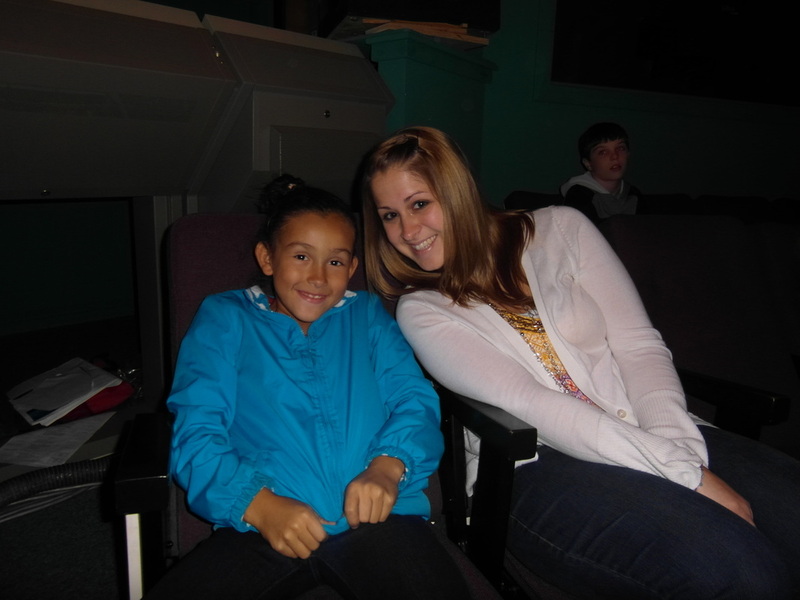 Congratulations Aaliyah! 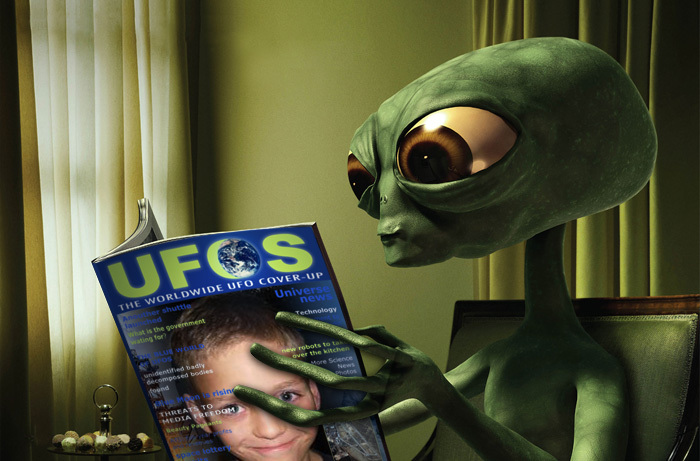 Click on the picture for a bigger version! 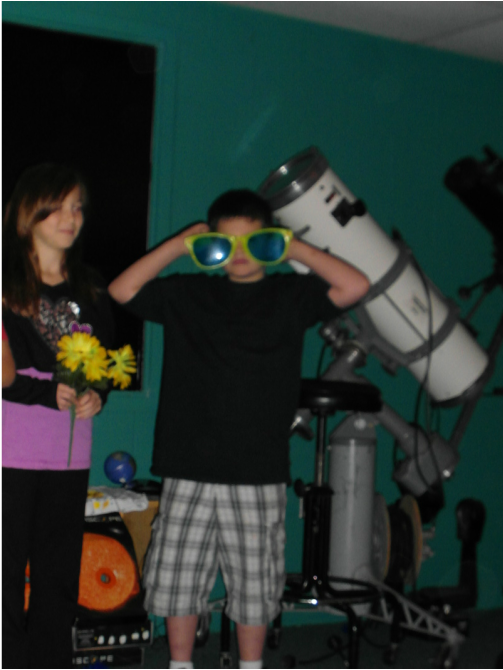 Way to go David! 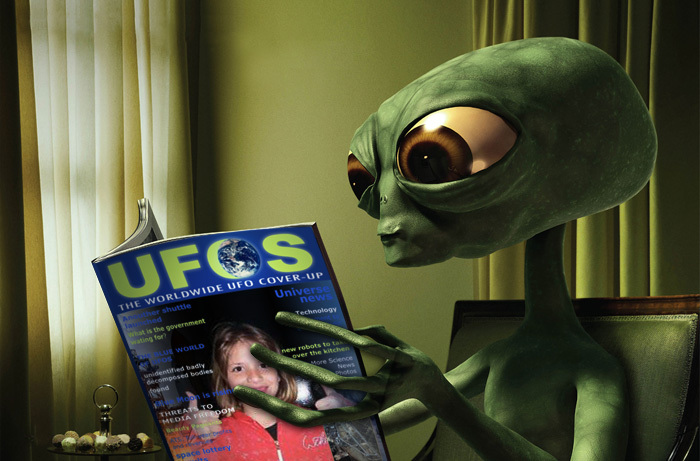 Click on the picture for a bigger version! 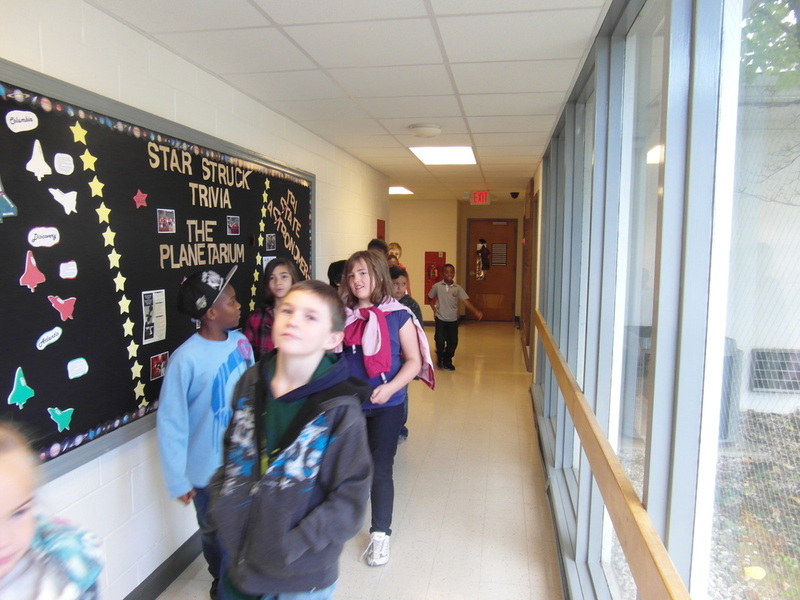 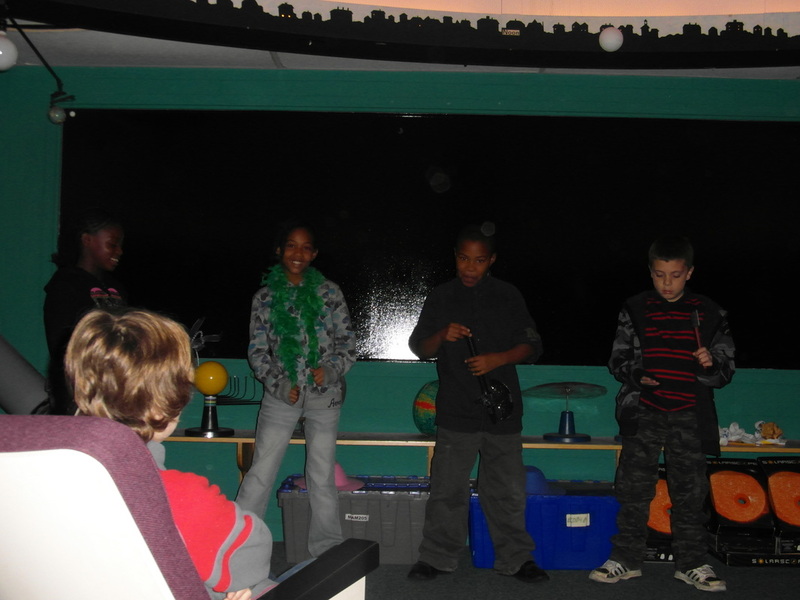 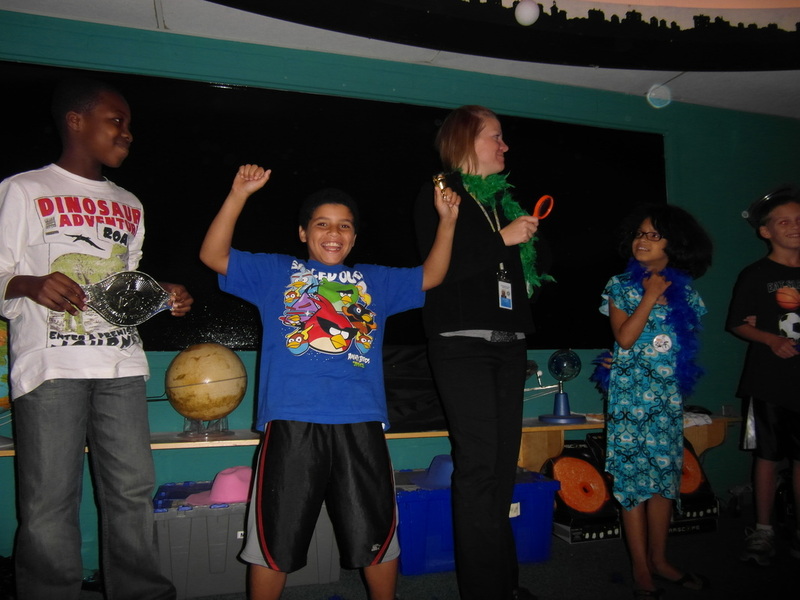 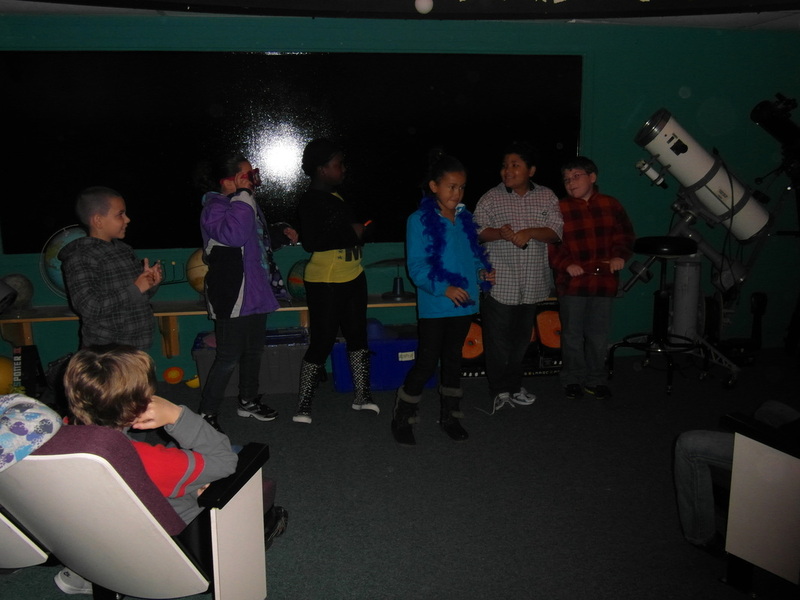 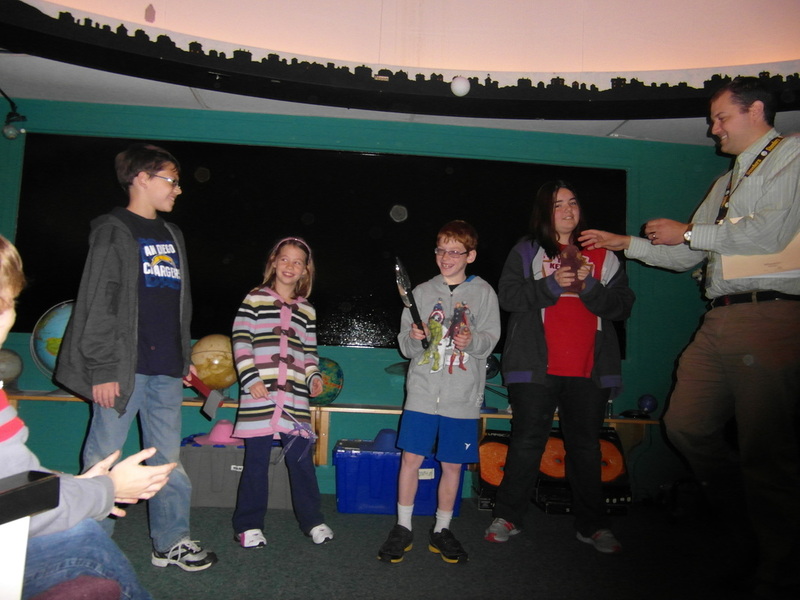 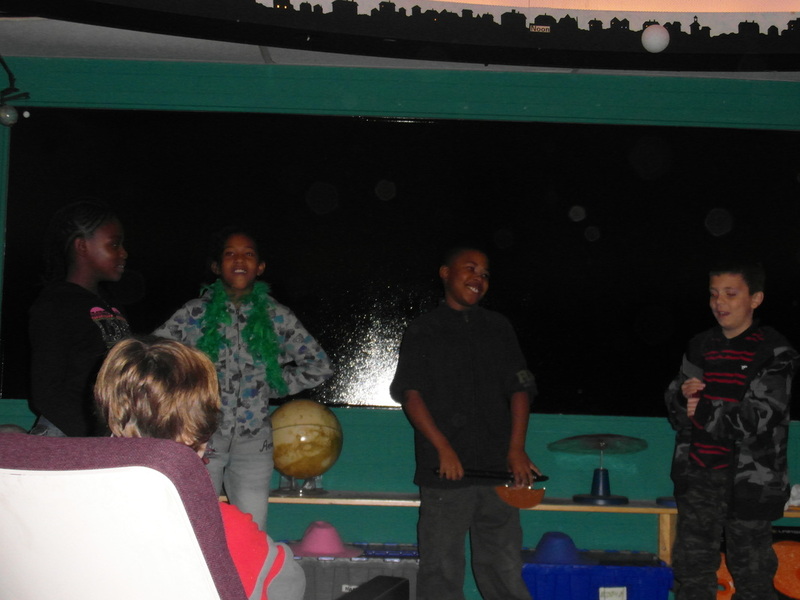 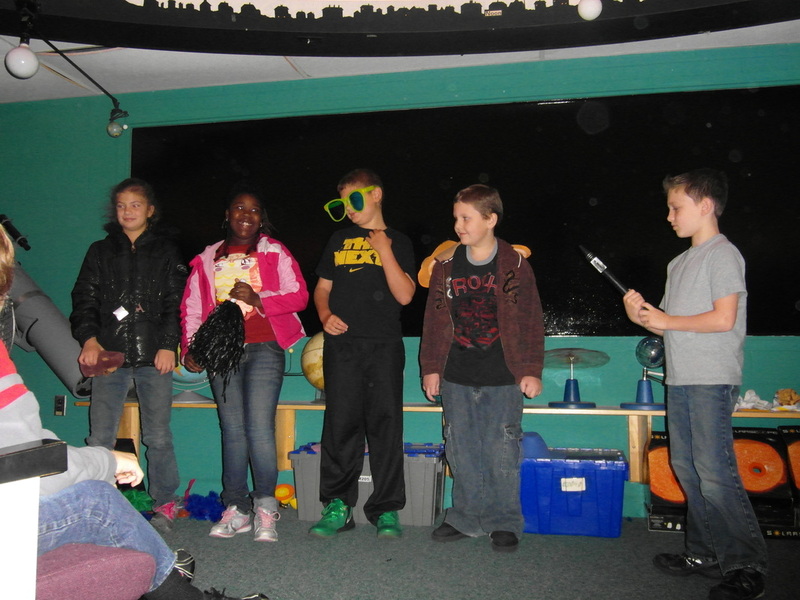 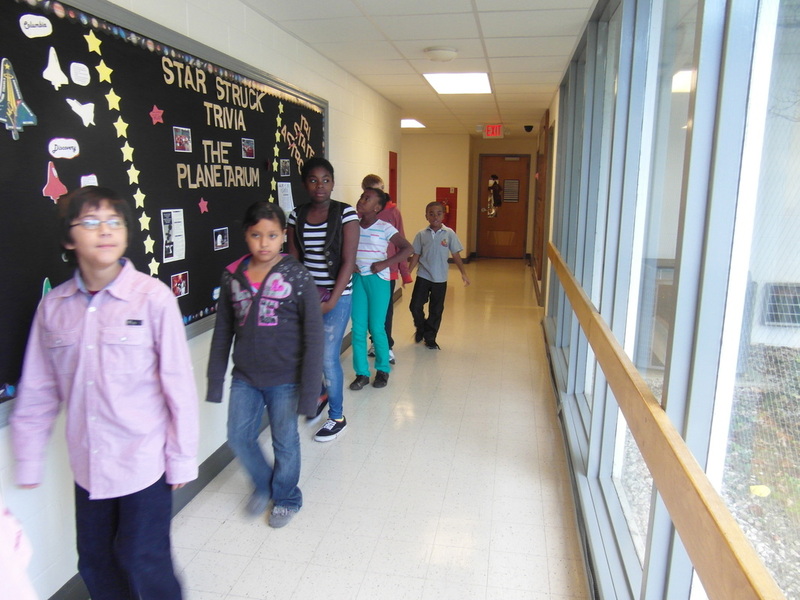 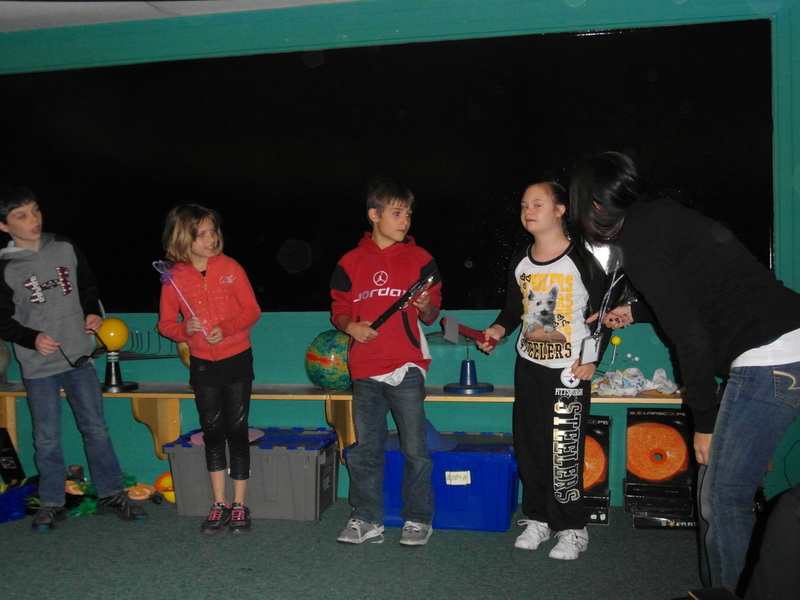 Mr. Karras brought his fourth grade class to the planetarium today to play the game show Earth Motions. 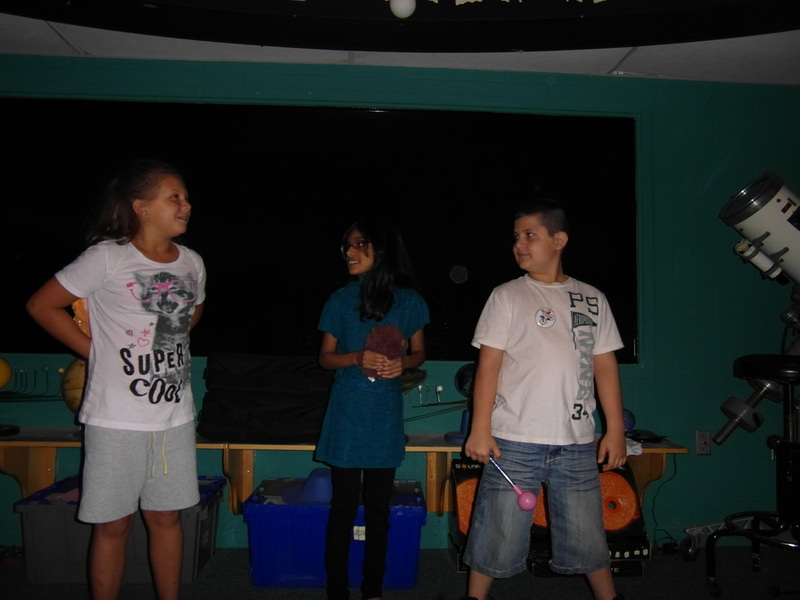 The students learned about rotation and revolution and then played a game show with our special guest host Alan Trebek. 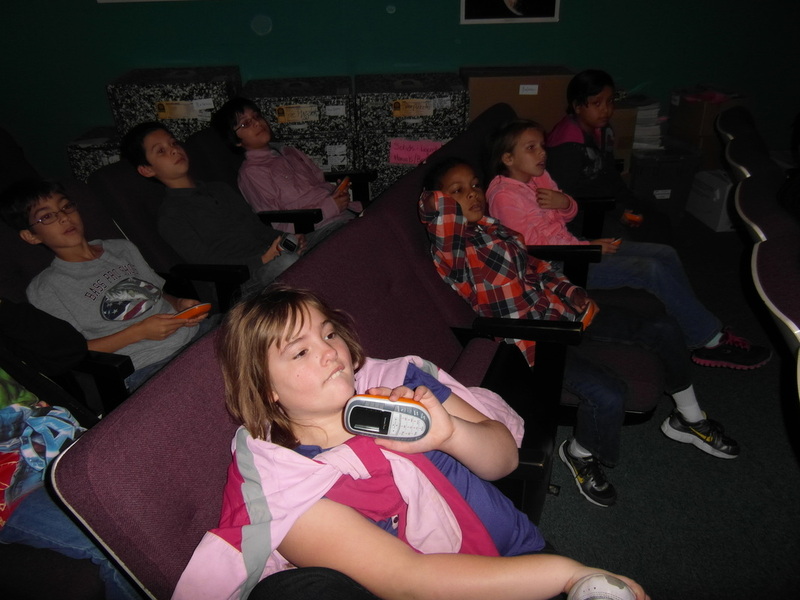 The students in Mr. Karras' class finished with the second highest score of the month, only missing two questions on the game show as a class! 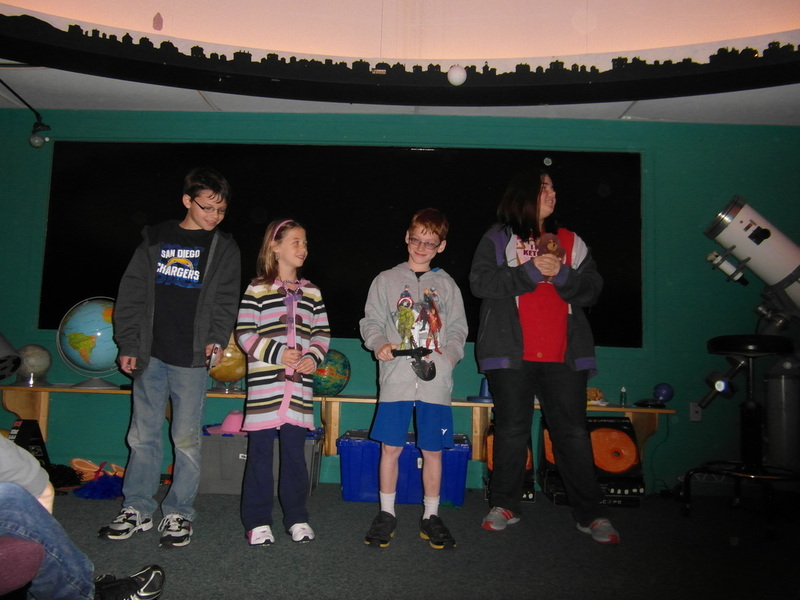 Here are some pictures from their visit! Congratulations Ethan! Click on the picture for a bigger version! 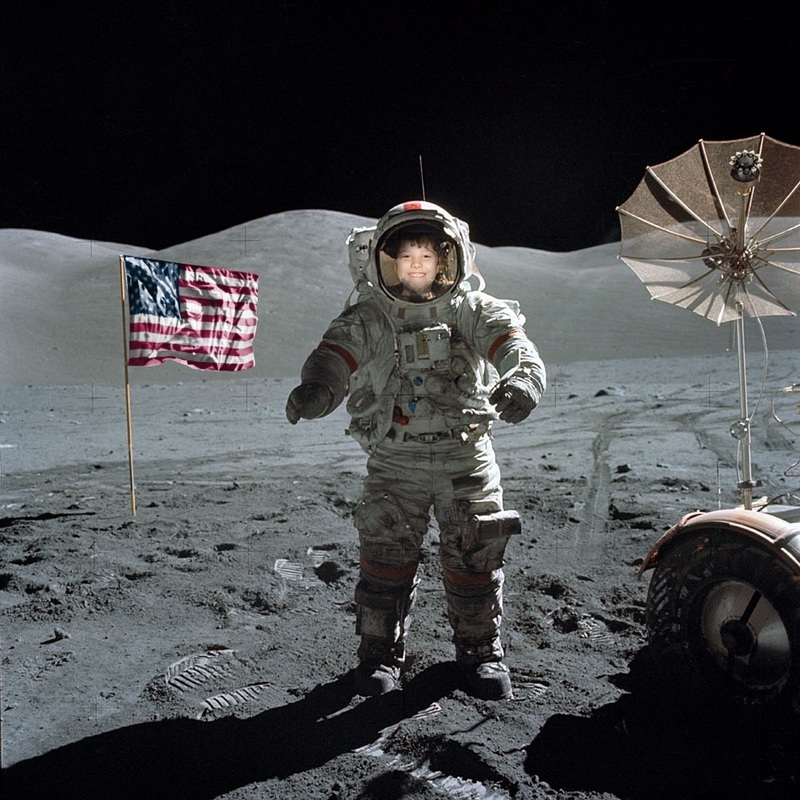 Have a comment or question for Mr. Kopco? Leave a message here and he'll get back to you soon!